Martyn Bridges, Director of Technical Communication and Product Management at Worcester Bosch, discusses how the boiler of the future needs to evolve. There comes a stage in every market and for every product where after countless refinements, it’s time to go back to the drawing board and redesign for the next generation. There are people and companies who spearhead that change – reinventing the wheel through a desire for innovation and by questioning the norm. Let’s use Apple as an example. Today it seems crazy to not have a smartphone in your pocket, but before the tech giant brought out the first ever iPhone, this was the case. Apple saw a problem and came up with a solution – a stylish phone that was also a personal computer, communications device and high-end camera to boot. 12 years and 1.5 billion sales later, the business continues to refine its product to keep ahead of its competitors. Another essential part of the consumer’s life and central to their homes, yet boilers have been similar for the last decade or so. What can be changed about boilers? At Worcester Bosch, our focus is about making life easier for both the installer and the homeowner. 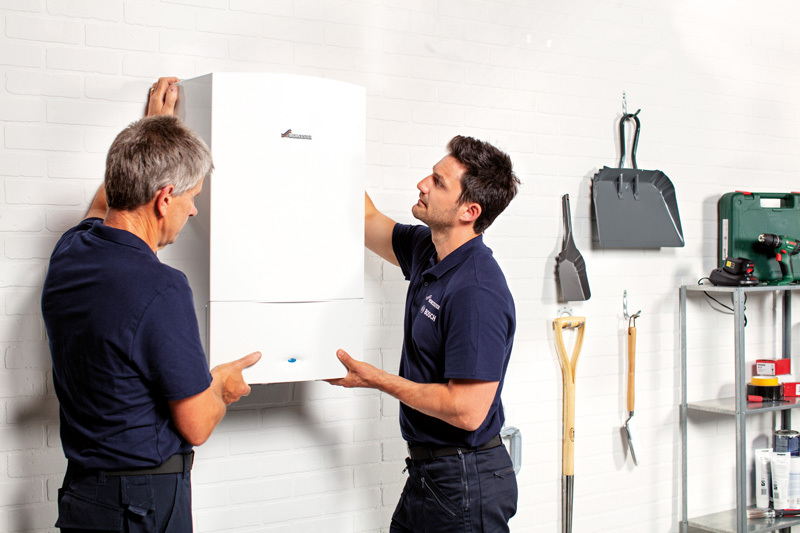 We have always focused on ease-of-installation of our boilers, and nowadays with longer warranties and more regular amounts of service and repairs, it is imperative that access to servicing and component exchanges is very simple and intuitive. This is something that future boilers should look to address more than perhaps they previously have. With that in mind, what other well-known industry problems could be solved by a new boiler? Take frozen condensate, for one. Any new boiler should really try its best to counteract this or at least make it very difficult for condensate to freeze if the pipes are run externally. There is also the issue of occasional “micro” leaks in any water-based heating system, where the installer can’t find the cause. This means that an engineer may have to make unnecessary callouts because the homeowner is unable to top up the pressure. Four out of five of the call outs that one of the largest national service providers experience is to top up boiler systems which the consumer is unable to do. So this is on the agenda, too. For the consumer, smart homes are becoming more essential and many household appliances are being fitted with internet connectivity. The boiler is no exception. It is becoming a growing requirement for consumers to be able to turn their boiler on or off remotely – something that is essential to bear in mind for any future boiler controls. And finally, design. Consumers are getting more design-conscious, even with their essential appliances (think SMEG fridges). As living spaces get smaller in the UK, boilers that are usually in cupboards or attics are now being installed in kitchens and are on show. Maybe it’s time to introduce smart, slick-looking boilers that look the part. A boiler that can be proudly put into homes and not hidden away. If I was to summarise, I believe the future will demand boilers that are powerful, effective and also look good, while doing the job they were originally designed to do. Perhaps it’s time for a boiler that changes the domestic heating market, like the iPhone changed mobiles. Previous : What are your van priorities?